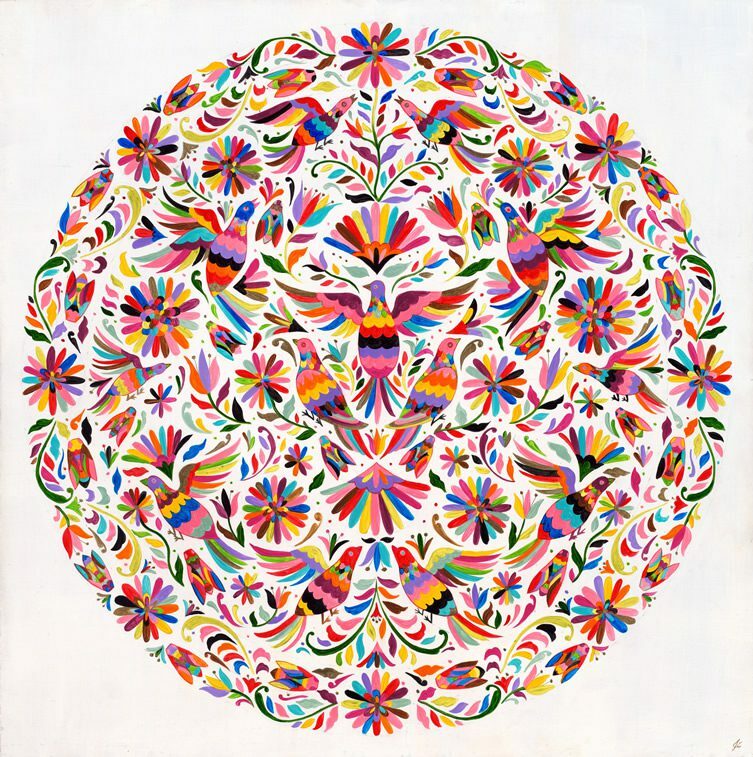 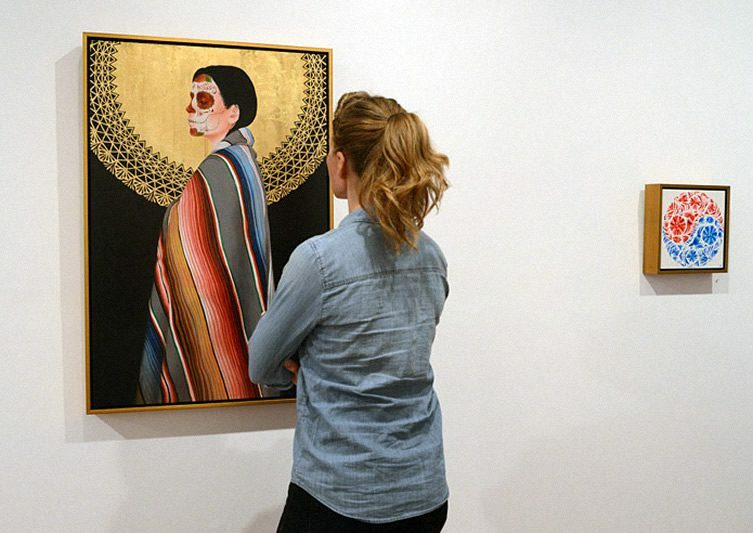 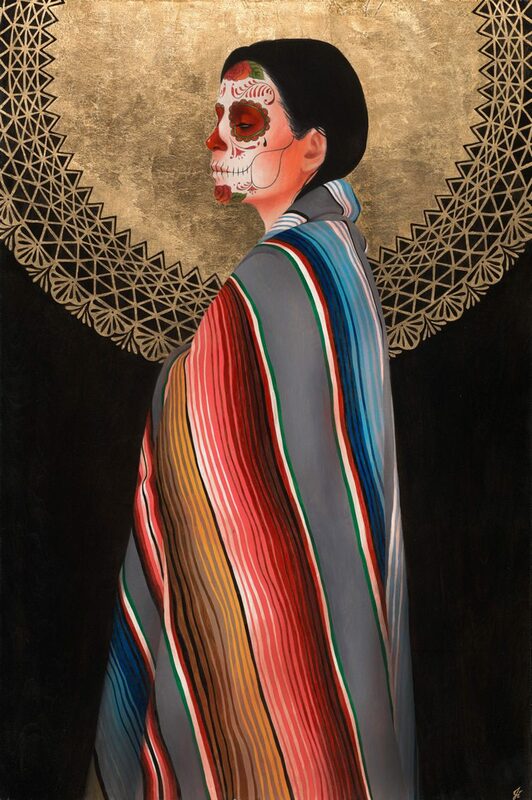 Never mind the mezcal, there’s more than a bit of mescaline about the psychedelically tinged work of San Francisco painter Sylvia Ji, which in her latest collection Interwoven continues previous meditations on the Mexican culture’s compelling obsession with beauty and death through studies of women and textiles. 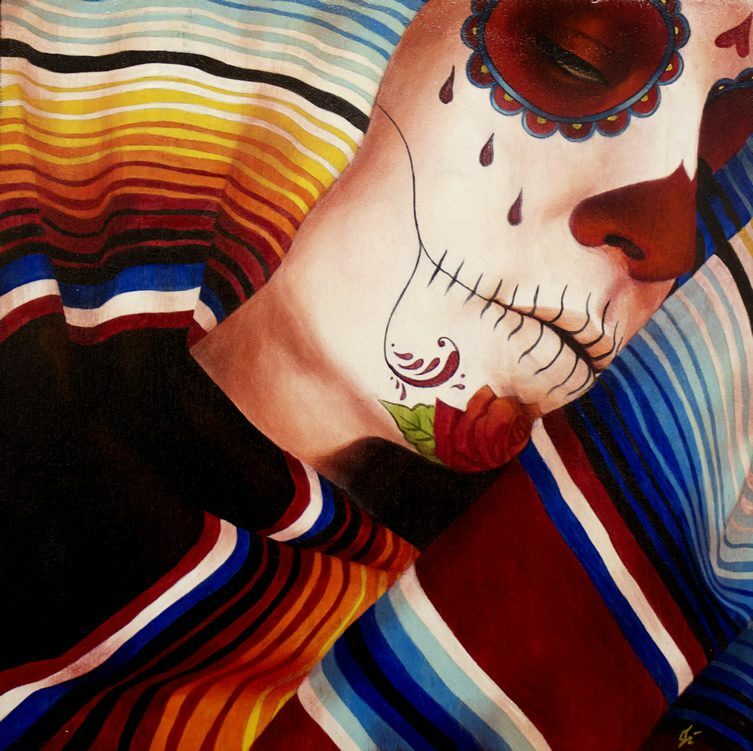 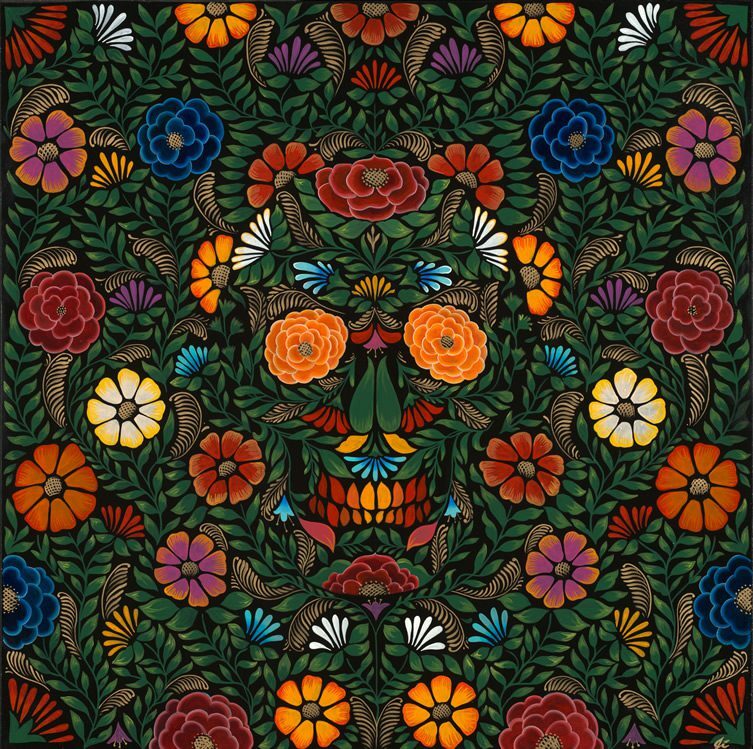 The Day of the Dead looms large in these macabre yet strangely attractive acrylic on wood paintings, but with Interwoven Ji has moved away from the traditional dress and colonial era ballgowns of her previous collections, introducing shawls and blankets as a distinct but organically enmeshed element. 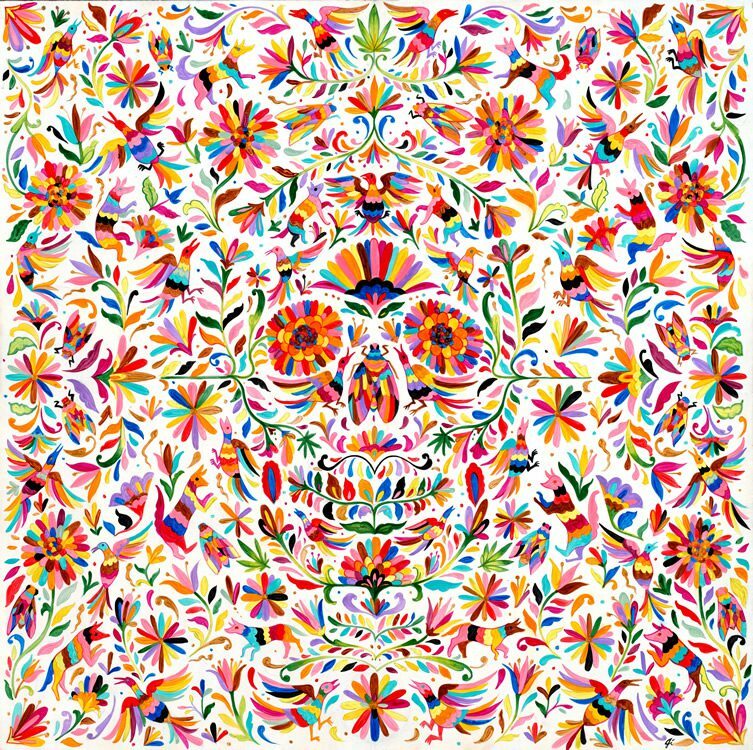 This series also sees more abstract work, with camouflaged skulls made of petals, leaves, birds and animals gently pushing out at the viewer from a nearly continuous background with the effect of an optical illusion, hinting at the decay in nature and the transience of beauty. 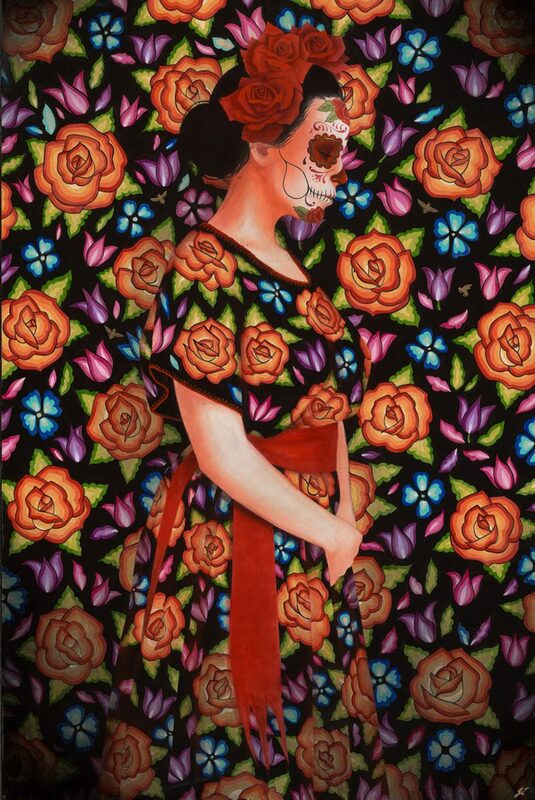 Interwoven can be seen until 10th August at San Francisco gallery FFDG.